Sibley Volcanic Regional Preserve is the site of a small volcanic center that was last active about 10 million years ago. After it fizzled out, the whole thing was gradually buried in younger sediment. Within the last few million years, the action of the Hayward fault squeezed, folded and uplifted this sequence of rocks and tilted it almost to perpendicular. Then erosion of the uplifted hills — and quarrying by a Kaiser company — exposed a good cross section to view. And there was just last month. 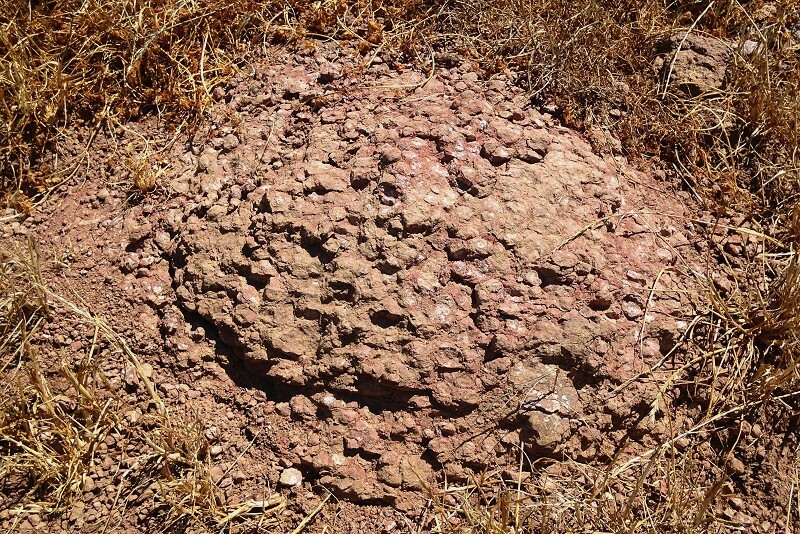 I need to unpack the name “lapilli tuff.” Tuff is a rock type consisting of ash — volcanic material that’s been explosively erupted and then lithified. 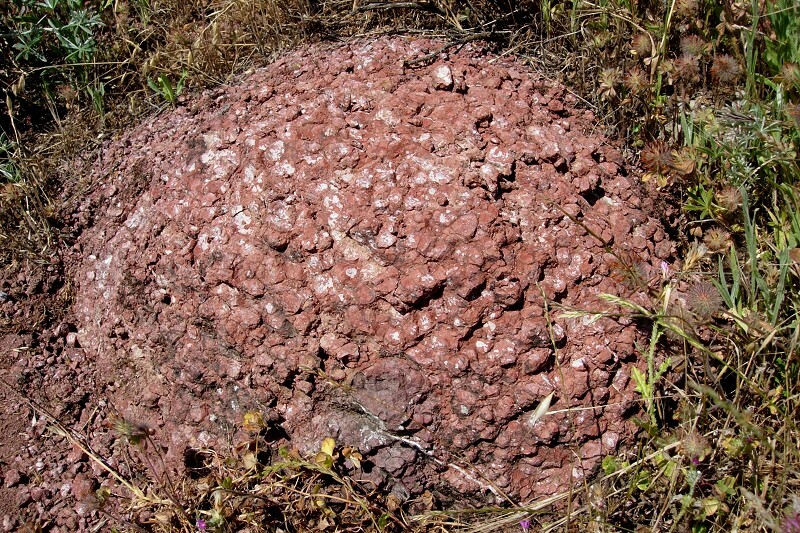 It’s formally called volcaniclastic material: pulverized rather than solid lava. Lapilli is the name for ash particles of the same size range as gravel, or 2 to 64 millimeters across. These lapilli (a single particle is called a lapillus) are very consistent in size and texture. 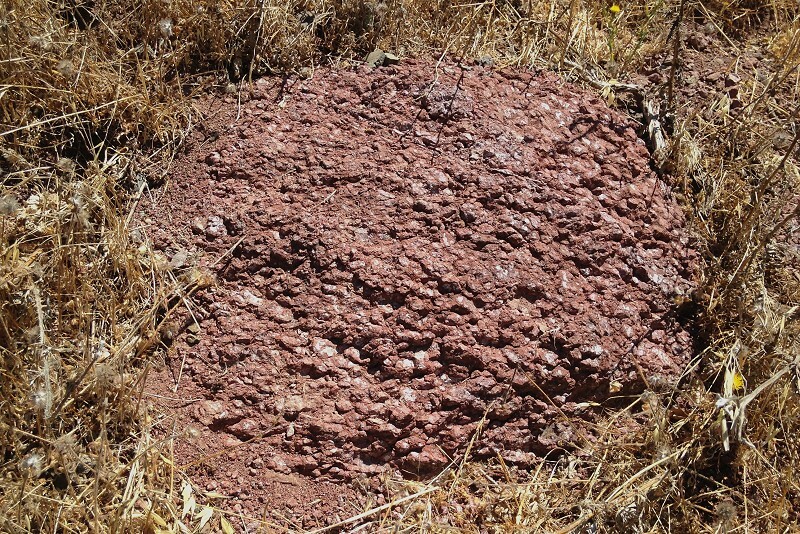 They suggest that a spray of red-hot lava was erupted from a volcanic vent nearby and fell together in a neat pile. Perhaps there were strong winds at the time that sorted the droplets by size. Whether the lapilli were still so hot that they fused together before they fully cooled — an agglutinate — or fused together later when cold — an agglomerate — is not clear to me. Whatever the circumstances were, they were unusual enough that only wide-ranging geologists and professional volcanologists are likely to have seen more than one example of rock quite like this. 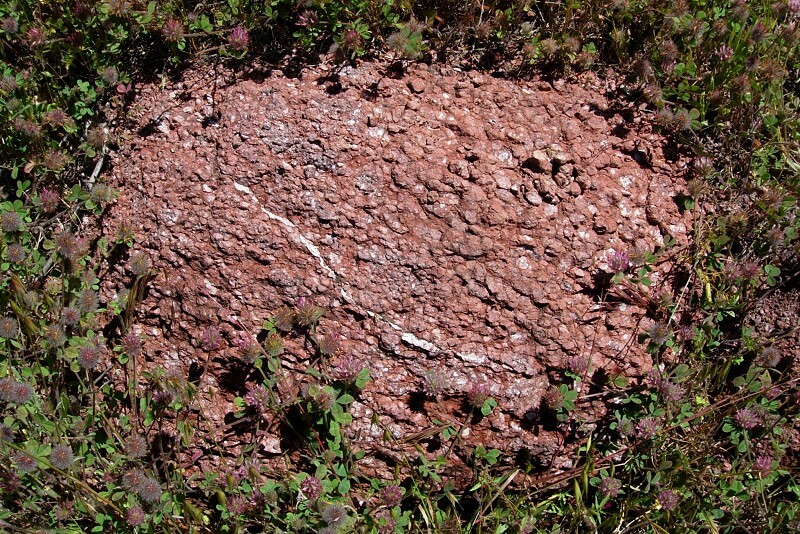 It merits the specialized name lapillistone, because it appears to contain very little material other than lapilli. Oddly, it seems I never photographed the same rock twice during my visits to this spot, although it’s possible the rocks eroded beyond recognition over that 12-year span. Will have to keep coming back. This entry was posted on 18 September 2017 at 8:03 am and is filed under Oakland rocks. You can follow any responses to this entry through the RSS 2.0 feed. You can skip to the end and leave a response. Pinging is currently not allowed.